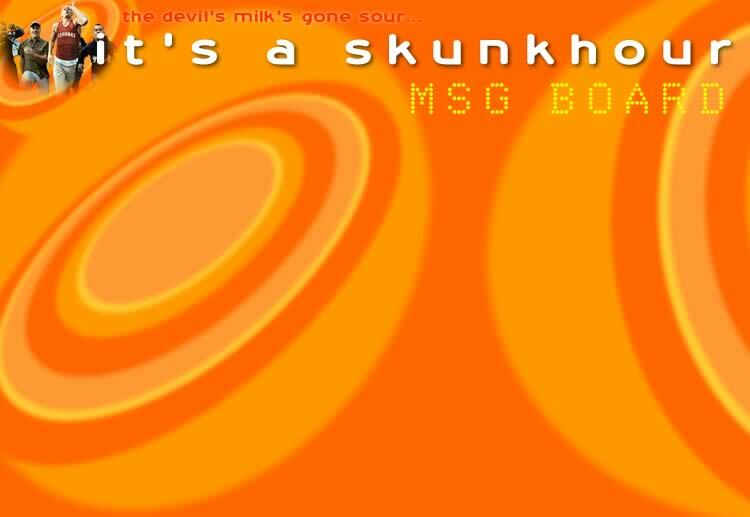 If you have an MSN/Hotmail account, you can join the "It's a Skunkhour Community". Feel free to post whatever you like on the Message Board, or log-in for a chat. Use the window below to navigate around the community - if u can't see anything or hate the frame thing, please click here.